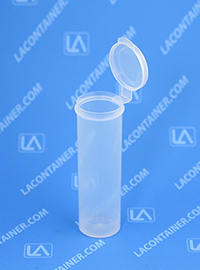 The Lavials® VL22H Large Hinged-Lid lab vial features a cylindrical design with an attached air and moisture resistant lid. 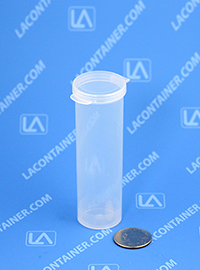 Manufactured in the USA with FDA compliant material, the VL22H can safely store nutritional supplements and can be autoclave sterilized for medical supplies or devices. 1.11" Dia. X 3.80" Ht. 33.78mm Dia. X 98.81mm Ht. 28.19mm Dia. X 96.52mm Ht.